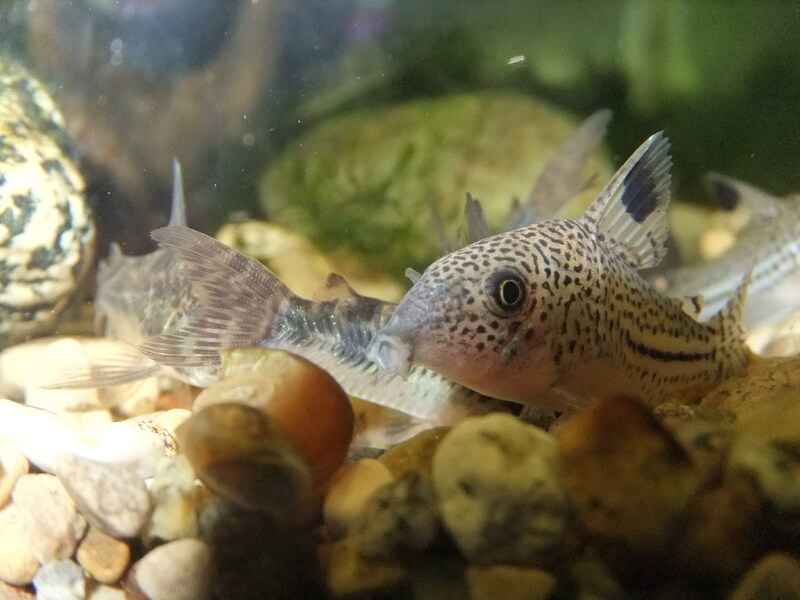 I noticed that one of my Juii Corydoras has lost his whiskers, properly called barbels. Other Corys in the same tank seem to be fine. 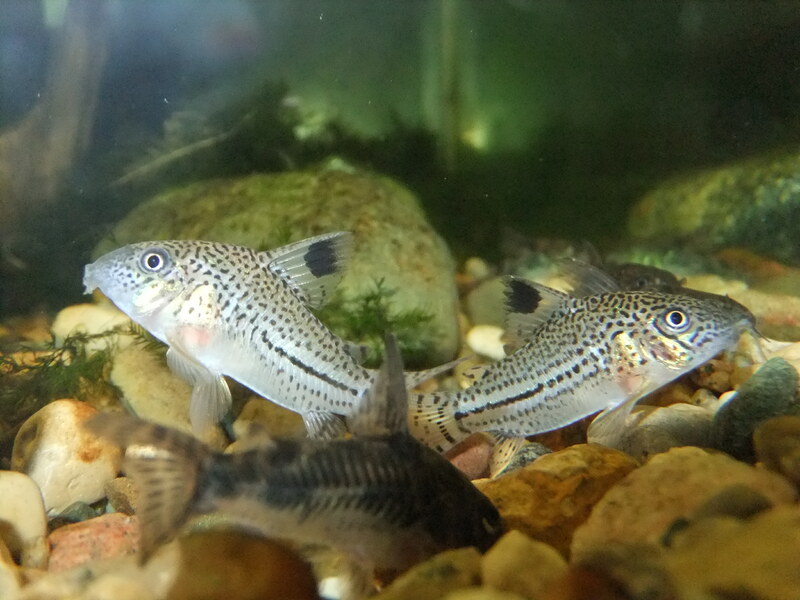 A Corydoras Catfish can wear down his barbels by digging around for food. Even though the gravel in this tank looks smooth I have read that just pushing and pushing into the gravel can eventually wear down the whiskers. 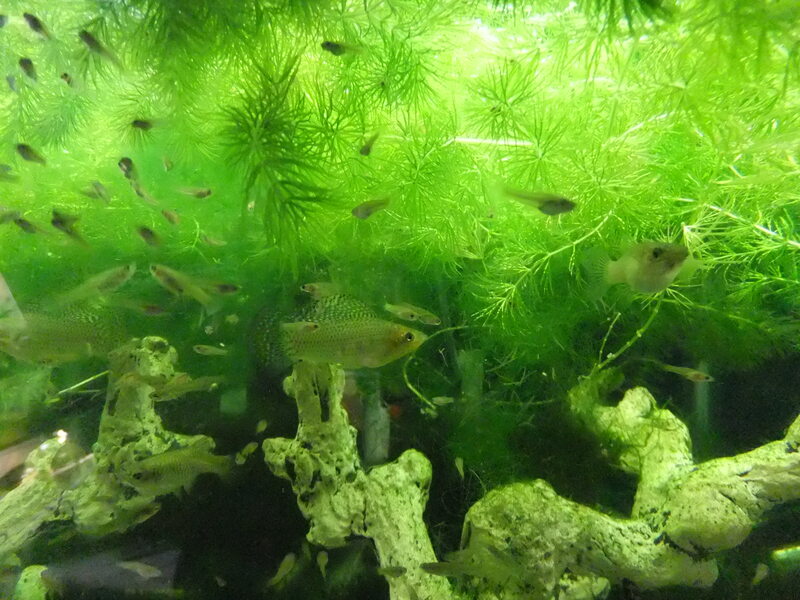 This picture shows my little Julii Cory on the left with eroded barbels. The one on the right looks normal. Sand is the referred substrate for Corydoras and I do use it in a few of my tanks. It’s cheap to buy Playsand at a Home Depot, Menards, Lowe’s type-store. So much cheaper than buying Aquarium Gravel. I’m going to tear down this tank and put sand on the bottom. It seems to me that sand can be abrasive, too, but the idea is that when the Cory pushes on it, the sand moves. Another pic of healthy barbels. Big gravel in this tank doesn't seem to be a problem but I will keep an eye on my Corys. Corys also need clean water. Do your water changes. If the barbels are damaged and the fish lives in dirty, bacteria-laden water it could eventually kill it. I am very guilty of being slack about this. After seeing my little Julii Cory with no barbels I am vowing to try harder. 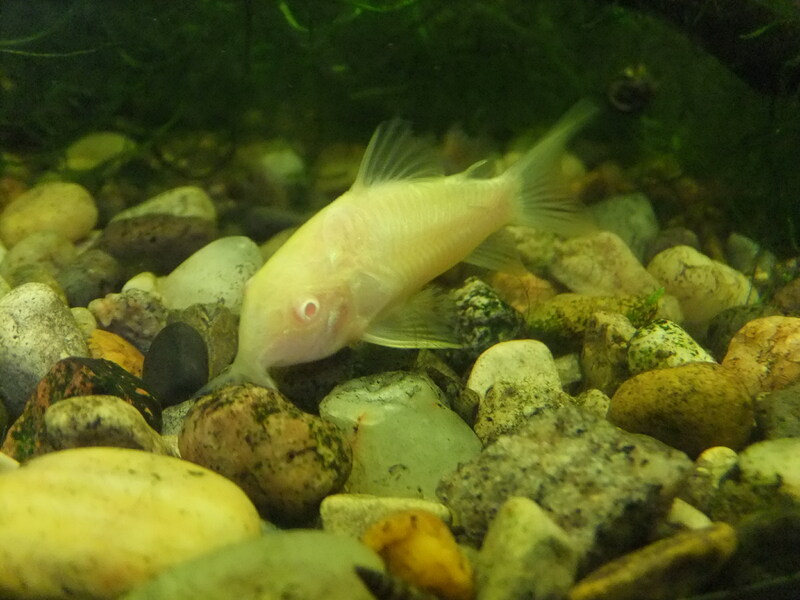 Last week I looked at PetSmart’s fish prices online and they had a special on Albino Corydoras. ONE dollar each! I figured they wouldn’t have any by the time I got there but the next morning I went and there they were. 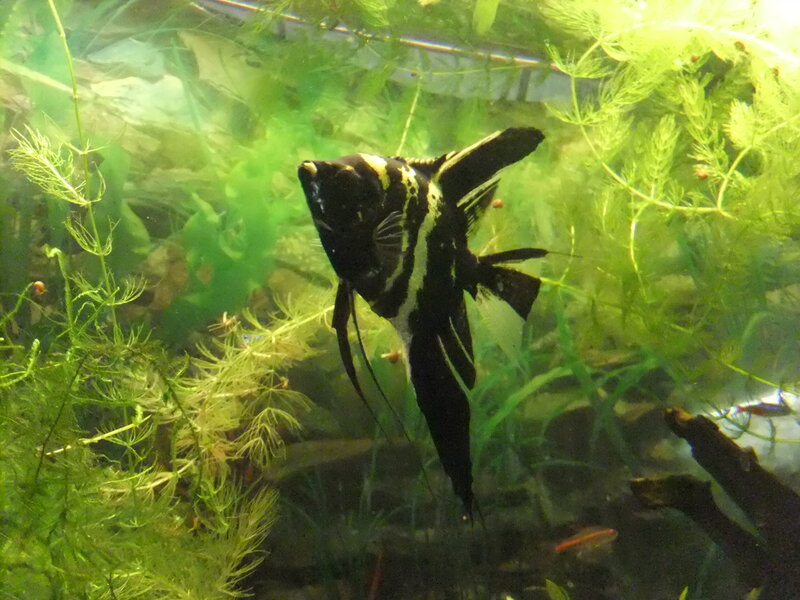 I bought 3 of them, and then noticed in another tank, Peppered Corydoras $1 . Are you kidding me? When I worked in a Tropical Fish Store in the 1970’s Corydoras cost $1.50 so the current price of 4 or 5 dollars is not out of line. Well, what could I do? I had to buy them, right? I walked out with 3 Albinos and 5 Peppered Corydoras. 8 bucks. Here are my Peppered Corys stirring up some shrimp pellets.